Pearl Skin Aestetic and Dermatology Clinic in Varna starts specialized examinations with professional medical trichological equipment for patients with various forms of hair loss, alopecia and seborrhea of the scalp. 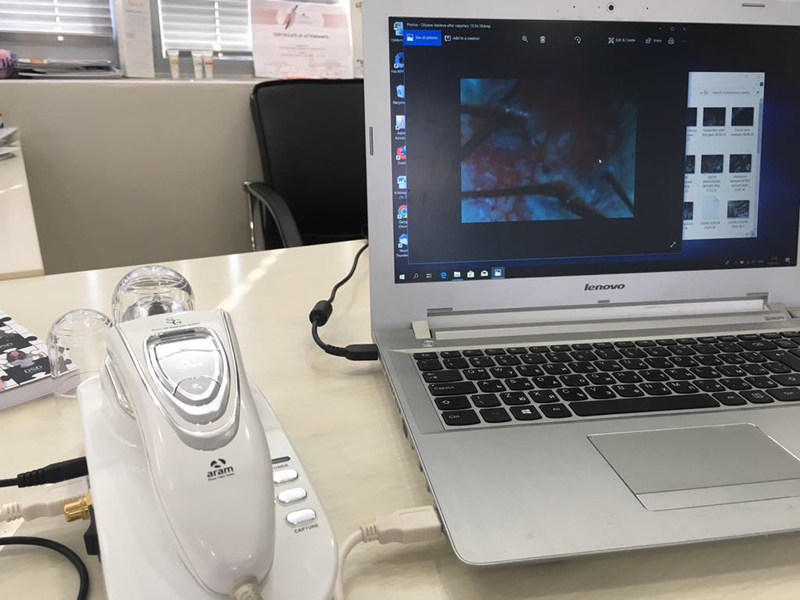 During the check up, with the assistance of specialists from the „Lily“ Sofia Trichology Center, a trichoscopy (dermatoscopy) of the scalp will be carried out with specialized professional equipment TrichoSciencePro, a world standard medical software with the possibility of photo-documentation. 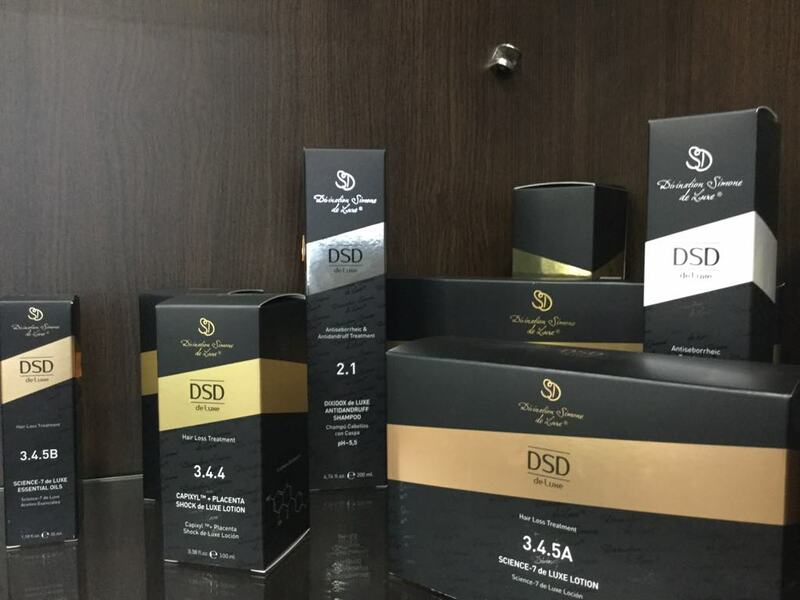 At the request of the patients, an individual hair care and scalp treatment program with DSD de Luxe hairdressing medical cosmetics can also be prepared, also with the assistance of specialist trichologist Lilyana Arsova,who has extensive clinical experience in the long-term follow-up of patients who have passed DSD ** medical therapy. The first examination will take place at Pearl Skin Aestetic and Dermatology Clinic in Varna on 16th of October this year, and patient enrollments for it have already begun. Examinations are done after a mandatory pre-subscription, which can be made by calling telephone: 0879 365 495 or with the registration form on the Pearl Skin website: http://pearlskin.net/bg/contact. The checkup includes taking a anamnesia and status, determining the form of alopecia, hair loss or seborrhea, analyzing and interpreting the results of the patient's medical records, appointing individual additional studies as needed, counseling, tracking the course of the disease and the therapeutic effect. * The examinations continue for an average of about an hour. 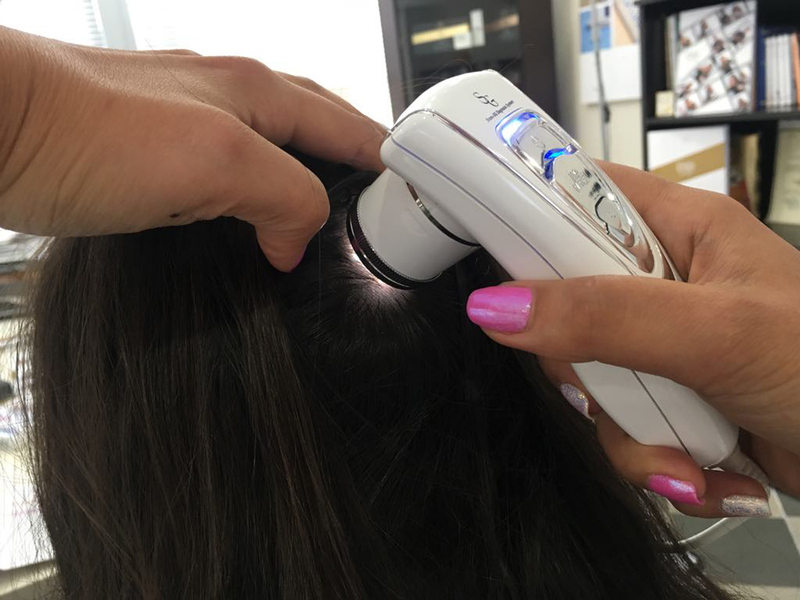 * Trichoscopy is an objective method for the initial assessment of scalp skin (inflammation, atrophy, fibrosis) and of hairs (growth phases, atrophy, dyspigmentation, thickness, density, percentage) and comparative assessment of the parameters described above during patient follow-ups on a background of therapy. ** Dsd de Luxe is the only brand of trichological medical cosmetics for hair that has been presented at a congress of such global importance as AMWC 2018, the 16th World Congress of Aesthetic and Antiaging Medicine in Monaco. Each year, the most renowned and respected specialists in the field of plastic surgery, cosmetology and venereology in the Kingdom of Monaco gather together to share their experiences, to talk about the latest scientific achievements and discoveries in the field of beauty and longevity.